Camilleri, P.P. Buttigieg (J. Azzopardi), S.A. Martinez Villa, D. Krstic, C. Bugeja, C. Antunes Pavlidis, G. Hili (T. Vella), J. Cefai (L. Cilia), S.P. Bajada, M. Stojanovic, M. Xerri. Vella, T. Souza De Silveira, D. Farrugia, L. Tabone, I. Xuereb, K. Farrugia, M.J. Barbosa, D.M. Bustos, S. Attard, J. Buttigieg, Y.DJ. Messias. so that they consolidated the status as serious challengers for the title. This was a clash between two sides who are considered as contenders to reigning champions Victoria Hotspurs and therefore both were aiming to win this match to keep in touch with the Hotspurs. The match lived up to the expectations as the two sides showed that they have the potential to be among the top teams in Gozitan football. Nadur were the better side during the first period and took a deserved two-goal lead but after the break Xewkija were more adventurous and for most of the time they produced more offensive play so that the outcome of the match remained uncertain until the final whistle. 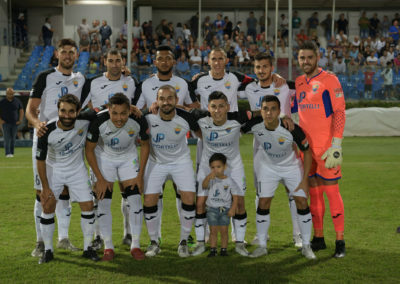 Nadur held territorial supremacy for most of the first half and created pressure mainly through their strikers Yuri Messias and Marcelo Barbosa. Nadur’s Daniel Matteo Bustos was in an excellent form and not only scored two personal goals during the first half but was continuously supporting the strikers. Nadur were also well organized at their defense during the first half and after the break they managed to resist to Xewkija’s efforts to recover the score. 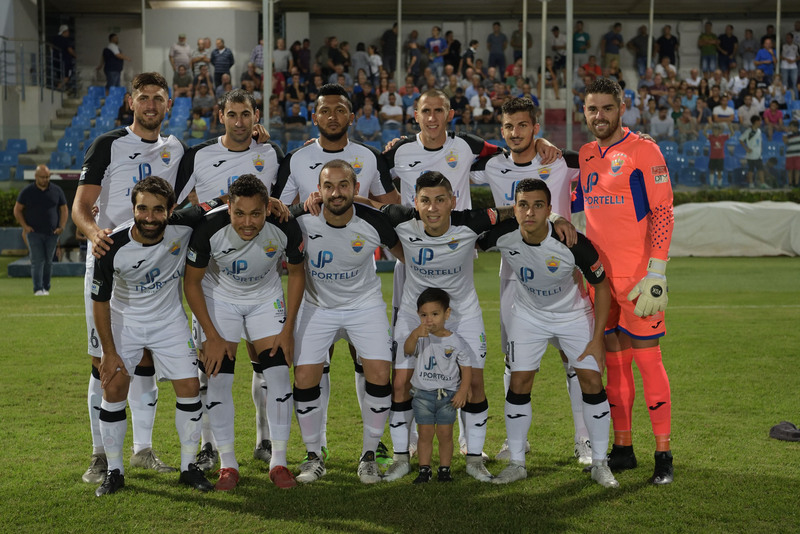 Xewkija compromised the possibility to earn a positive result during the first half as they conceded Nadur’s play and did not manage to be dangerous towards Nadur’s goal. However, they re-opened the issue with a goal that arrived during the early stages of the second half and kept insisting to save the result until the end of the encounter despite the fact that they ended with a player less on the field for the last twenty five minutes of the encounter. This was Xewkija’s second consecutive defeat in the championship and with this result they suffered a setback in their ambitions to be among the teams aiming to win the main honour in Gozitan football. During the opening stages Nadur took command of the midfield and on 12 minutes they created a good opportunity when Yuri De Jesus Messias entered the area with a personal action but hesitated to conclude so that the defense managed to block the danger. Three minutes later the same Messias had a good strike from outside the area that was blocked by Xewkijsa’s rearguard and Xewkija replied on 19 minutes with a good move on the left flank but goalie Franklin Vella had good timing and took the ball that was addressed to an unmarked Claudio Antunes. Nadur opened the score on 21 minutes when Daniel Matteo Bustos concluded behind goalie Leonard Camilleri with a low shot from the edge of the area. Xewkija continued to suffer Naduir’s play and on 26 minutes Xrewkija’s keeper was called to amek a good save following a strike by Shaun Attard. On 31 minutes Nadur doubled the score as Daniel Matteo Bustos produced a personal action outside Xewkija’s area and surprised the goalkeeper with a fine shot from long distance. On 41 minutes Nadur could have added another goal when the referee awarded a penalty for a foul by Xewkijs’s central defender Sergio Arturo Martinez Villa on Yuri De Jesus Messias, who was released in the area by Daniel Matteo Bustos, but Yuri Messias had his shot from the spot kick that was blocked by goalie Leonard Camilleri. Xewkija came out more aggressive after the break and reduced the score on 49 minutes through a direct free kick by Claudio Antunes Pavlidis that ended out of the reach of goalie Franklin Vella. On 53 minutes Xewkija were dangerous through a header by Sergio Arturo Martinez Villa following a free kick by Shaun Bajada that was neutralized by goalie Franklin Vella and on 53 minutes Nadur went again close to scoring when Xewkija’s keeper failed to hold a cross from the right flank, the ball arrived to an unmarked Daniel Matteo Bustos who had his close ranged attempt blocked to a corner by central defender Martinez Villa. On 59 minutes Xewkija had a direct free kick by Darko Krstic that ended just high but as time passed by Xewkija did not manage to convert their efforts into scoring opportunities. On 70 minutes Xewkija were also reduced to ten players when Christian Bugeja was sent off for a second bookable offence. The match became much more exciting during the dying moments of the encounter as the two sides went very close to scoring. On 86 minutes a free kick by Xewkija’s Shaun Bajada was saved with some difficulty by goalie Franklin Vella and two minutes later at the other end of the field Nadur’s Yuri De Jesus Messias had an attempt directly from a free kick that just missed the target. 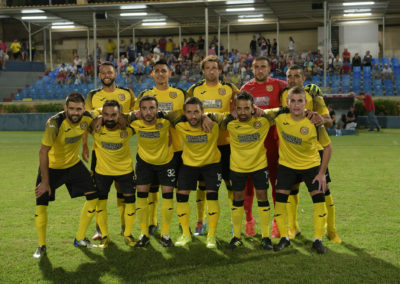 Xewkija went very close to level the score in the first minute of stoppage time through another direct free kick by Shaun Bajada that was again blocked by goalie Franklin Vella, while Nadur could have sealed the victory with a third goal in the third minute of stoppage time but a low shot by Yuri De Jesus Messias ended just wide. 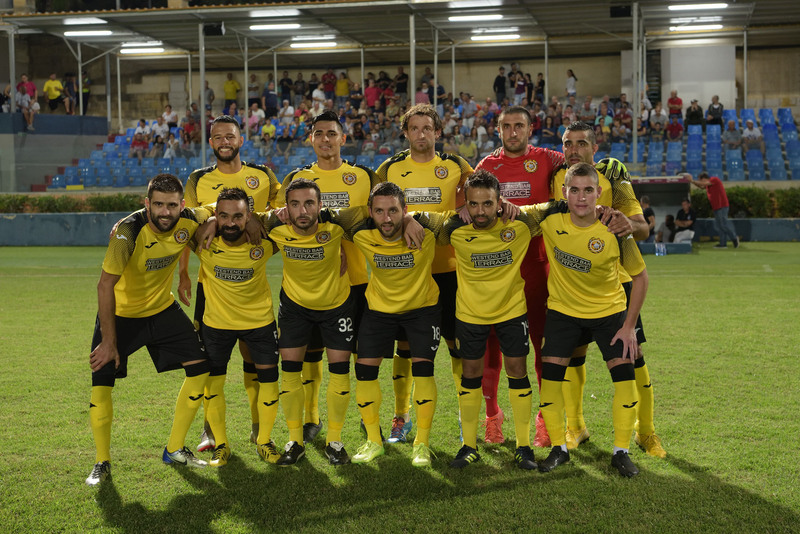 Xewkija’s last opportunity to save the result arrived in the fourth minute of stoppage time through a low shot by Shaun Bajada that was blocked in front of the goalmouth by keeper Franklin Vella.